Photos of the rally, protests and events around the D.C. area Sunday, Aug. 12, marking the anniversary of the deadly "Unite the Right" events in Charlottesville, Virginia. 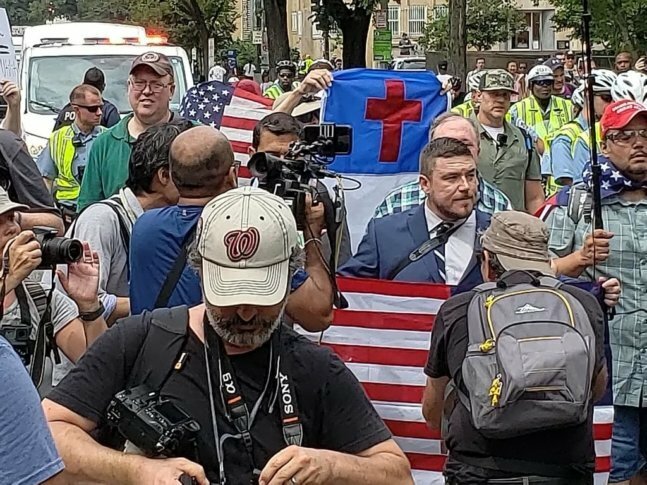 WASHINGTON — Participants in Sunday’s “Unite the Right 2” rally descended upon D.C., a year after white nationalists held a similar event in Charlottesville, Virginia, in which a counterprotester was killed. The rally was scheduled from 5:30 p.m. to 7:30 p.m. at Lafayette Square, but participants arrived hours earlier. Counterprotesters had events planned for the day, including around Farragut Square and McPherson Square. They planned to march from Freedom Plaza to Lafayette Square. Here are photos of the rally, protests and events around the D.C. area Sunday. 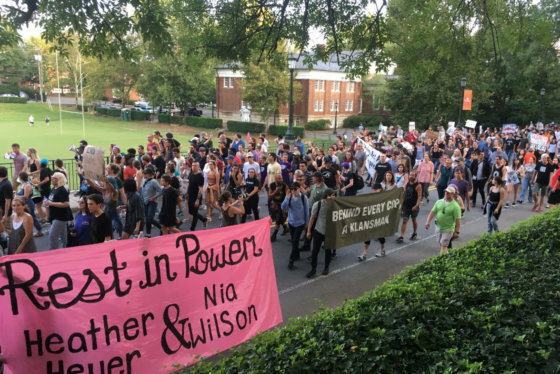 The “Rally for Justice” event was tied to the one-year anniversary of the white nationalist “Unite the Right” rally, which resulted in the death of counterprotester Heather Heyer.